Spotted in a Maryland school by F.O.A.M.er, author, and world traveler Marc Tyler Nobleman. 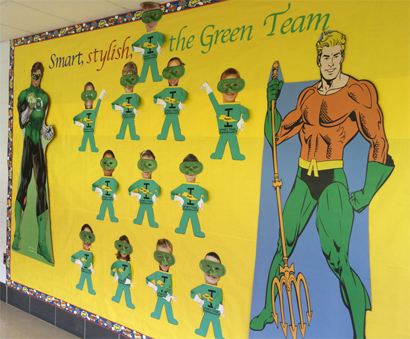 Smart, stylish--The Green Team! The Orange Team would be a bit smaller. Captain Carrot...?